The Oi Yamakasa runs rampantly past the elaborately decorated Kazari Yamakasa. 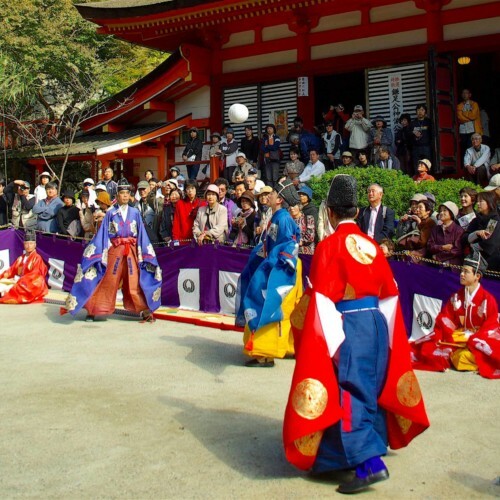 Experience the spirit and tradition of Hakata locals! 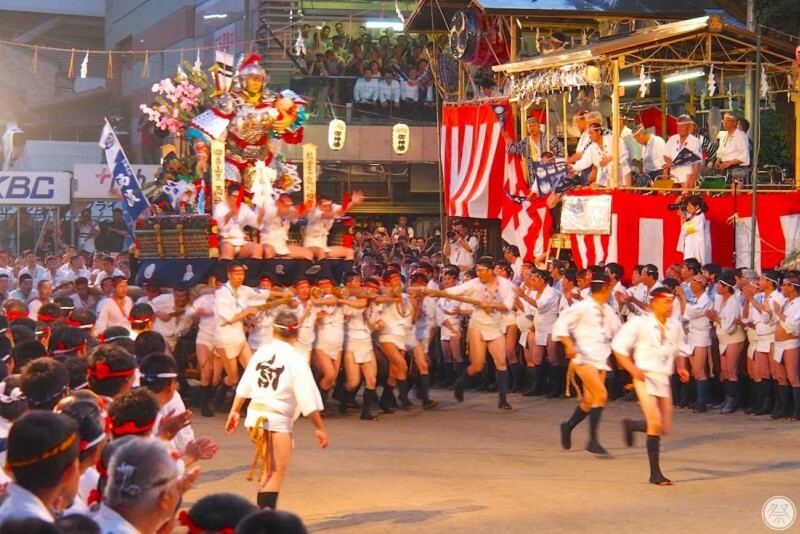 【UNESCO Intangible Cultural Heritage】The Hakata Gion Yamakasa is the Grand Gion Festival of the Kushida Shrine and is a service ritual where Hakata locals wish for the eradication of epidemic disease. It has over 770 years of tradition and history and is designated as a national intangible folk cultural asset. 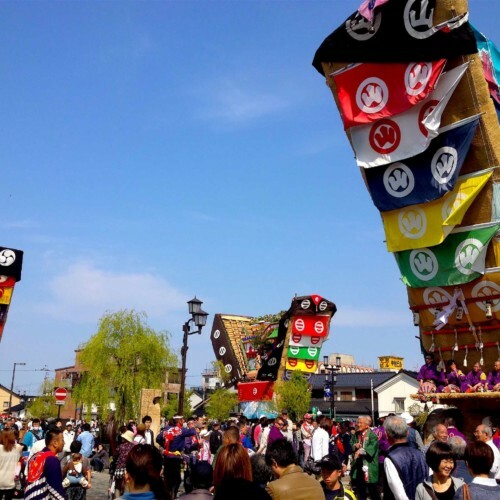 Held annually from July 1st through the 15th, it features 14 gorgeous Kazari Yamakasa (decorative floats) reaching 10 meters high displayed in several locations around the Hakata section of town for the viewing pleasure of festivalgoers. 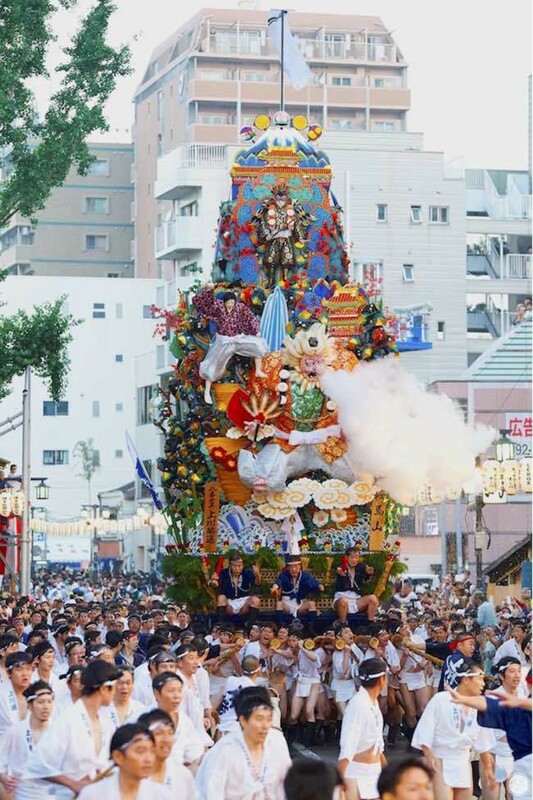 Yamakasa are decorative festival ornaments that carry six pillars packed with dolls and figures of different sizes. 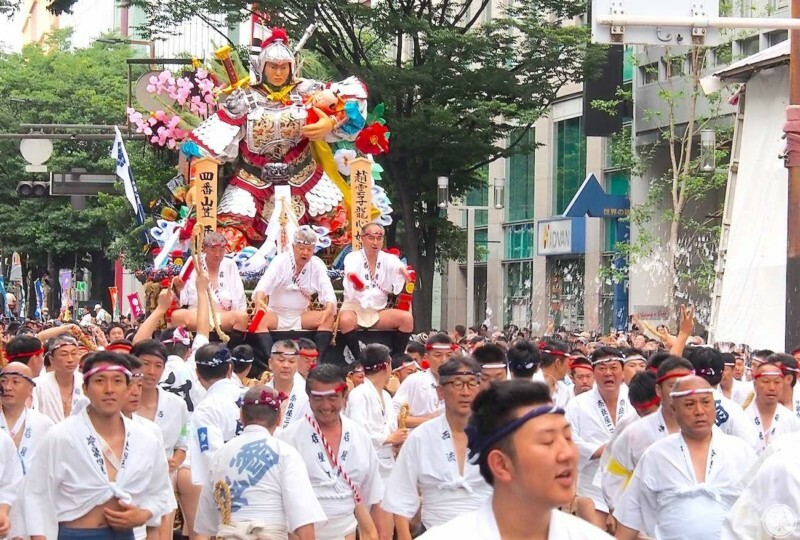 It is said that the Yamakasa originated here in Hakata. Each of the these Hakata Yamakasa are created anew each year by local master doll makers and the materials used reflect the times. 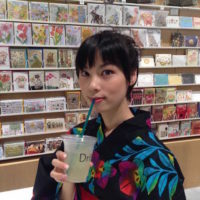 From the 10th, seven Hiki Yamakasa appear on the scene. "Hiki" in this case refers to "carrying", and differs from the decorative floats. 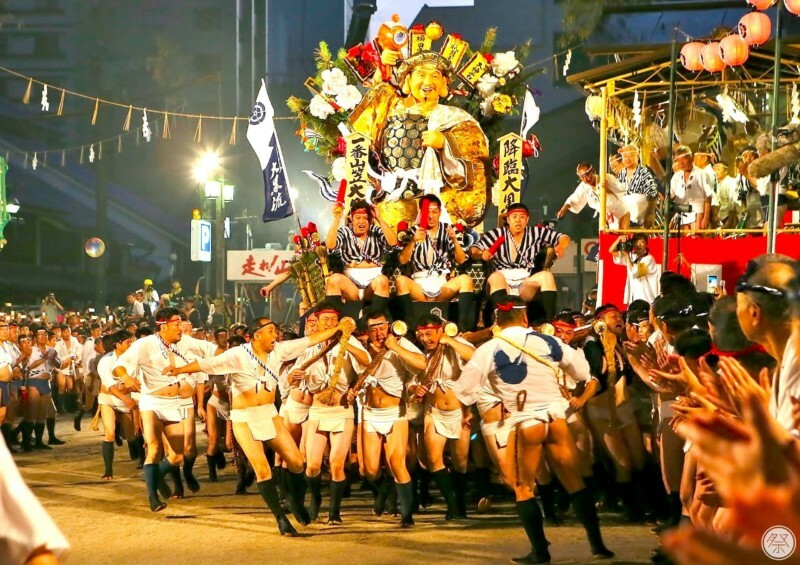 Watch in wonder as they are carried around town by strong festival men with precision. 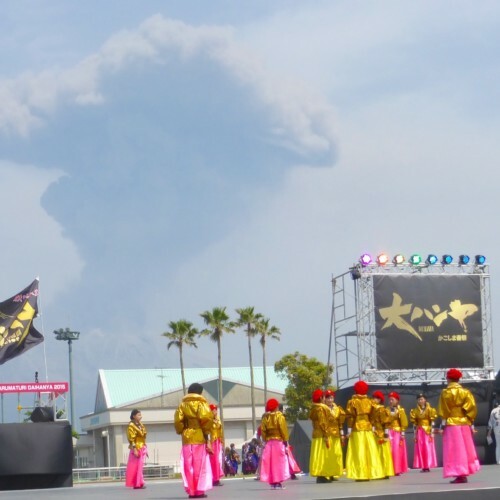 The climax is on the 15th during the flood of running floats called "Oi Yama". 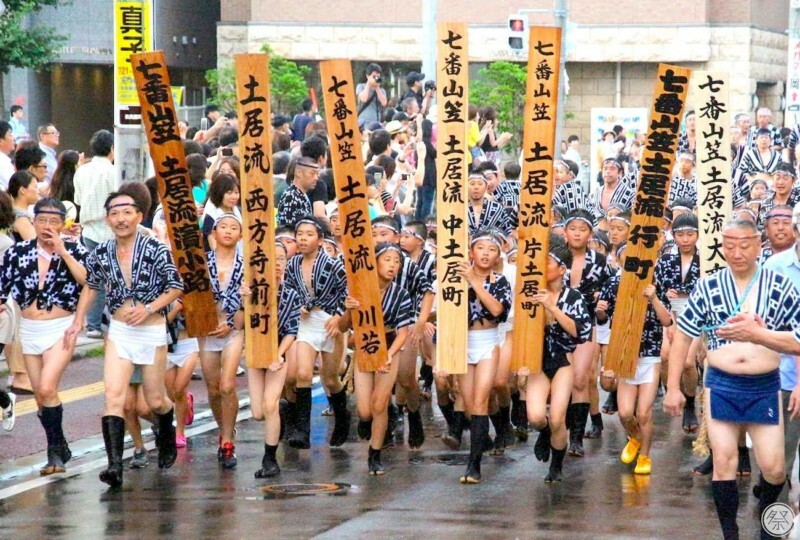 Roughly 8,000 participants wear loincloths, or fundoshi, called Shimekomi or Mizu Happi jackets for this large-scale event. There is a turnout of nearly 3 million people for the 15th. 1. Don't miss the Shudan Yama Mise on the 13th either! The only time that the Hiki Yamakasa make it over to center city Fukuoka is on the 13th for the Shudan Yama Mise, or "group showing". Just as the name describes, all seven of the neighborhoods festival teams from Hakata assemble in front of the Fukuoka City Hall. Only the renown veterans of Fukuoka take the stage. Floods of people gather for the Shudan Yama Mise from 3:30pm. 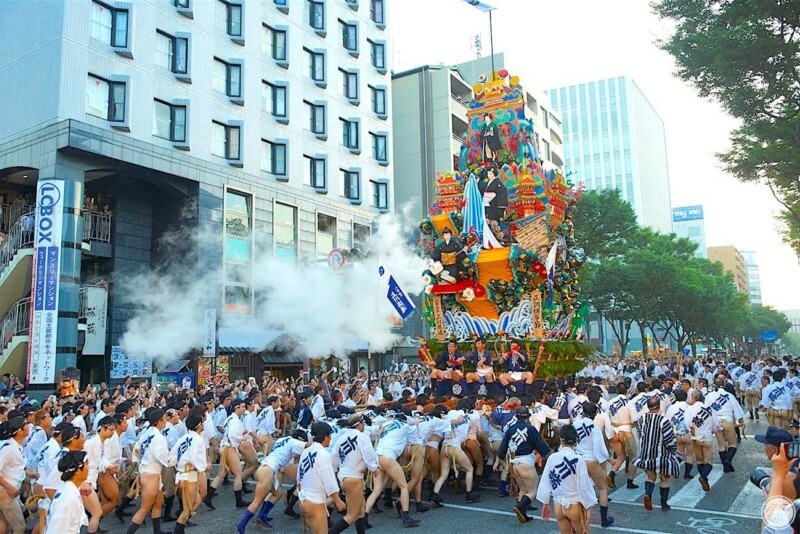 The entire road of Meiji Doori becomes engulfed by people, so be sure to get seats quickly. 2. Feel the momentum and passion of the Oi Yamakasa climax! 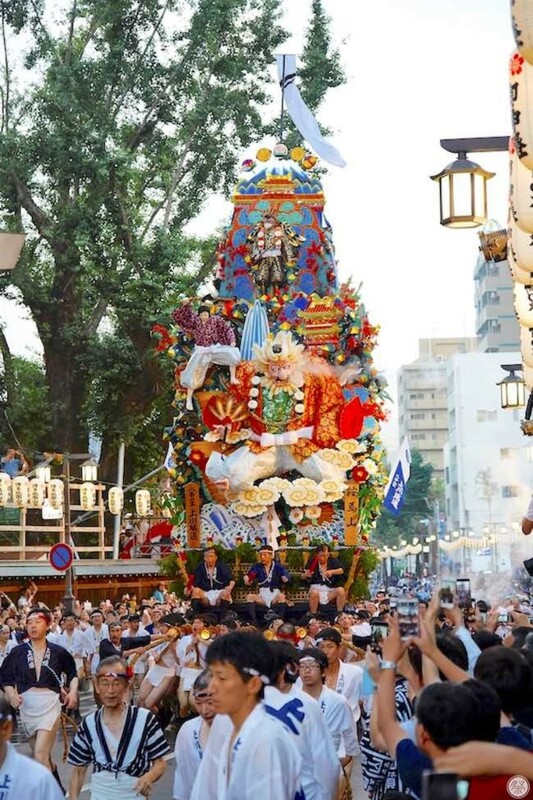 The Oi Yamakasa floats go into action early morning on the 15th, one by one, they are driven one by one into the Kushida Shrine grounds and out onto a 5km course upon exit. This dash through the shrine grounds is called the "Kushida Iri", and each team competes to see who can run the approx. 112m stretch the fastest. There are seating stands (a fee is charged) that surround this area from which viewers let out cheers of joy for the teams with good times, and sighs for those who finish a bit too slow. You will definitely not want to miss this climax. 3. Get a good look of the Kazari Yamakasa! The decorative Kazari Yamakasa are displayed in 14 different locations in town from July 1st to the 15th, until midnight. They each showcase brilliantly made dolls crafted by local masters. 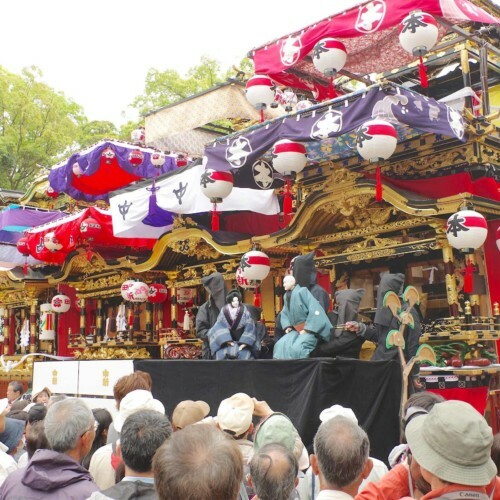 The front side of the float, or Omote, often depicts war historical war scenes, while the backside, or Miokuri, often feature nursery tales or TV/anime related material. 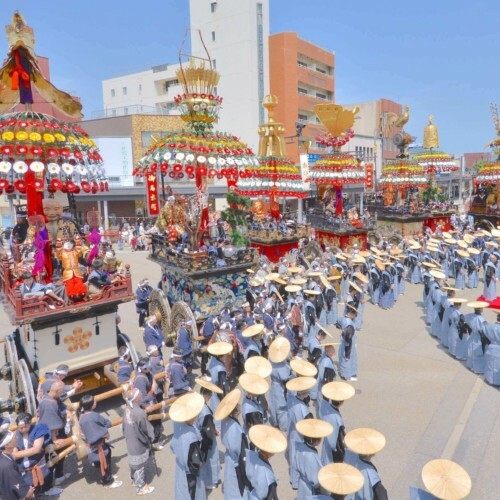 They cost quite a bit to make, as they are rebuilt anew every year, however, thanks to that, you are able to really feel the spirit of the Hakata locals who seem to think that "anything is possible", if it's for the Yamakasa. Please refrain from drinking to much alcohol. Only men are permitted to carry the floats. The use of drones inside the Kushida Shrine grounds is prohibited. Video filming of the festival at anytime using drones is prohibited. The use of drones on public streets and in crowded areas is also prohibited. Smoking in the streets is not allowed. There are road regulations during the festival period. Hakata Station on both the JR Kyushu Shinkansen Line, and the Fukuoka City Subway Line connecting to the airport. 5min walk from exit number 2 of the subway station Gion. Locations include other designated areas of central Hakata, in Fukuoka City.